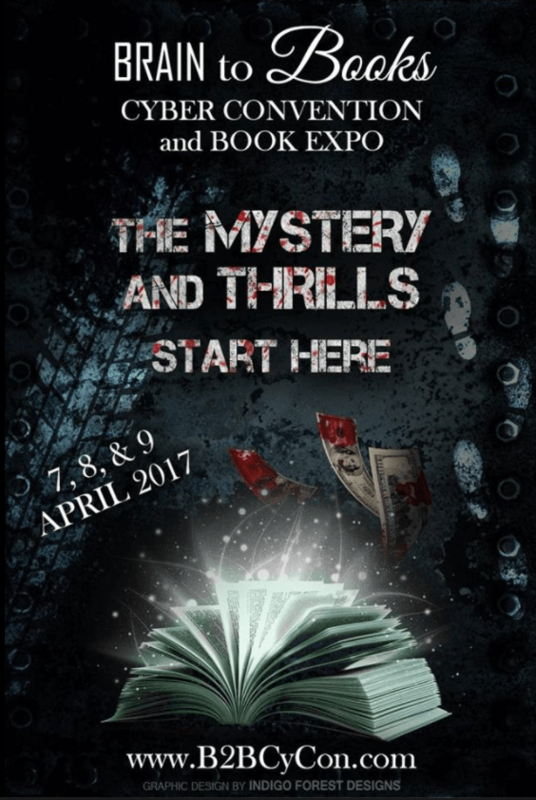 Get ready to rock the book nerd in you at the 3rd annual Brain to Books Cyber Convention and Book Expo on April 7-9, 2017. Now, I know a bunch of you attend cons like Comic-Con or other conventions. You dress up like your favorite character, you get autographs, you run booth to booth picking up swag. You know the deal. Well, a bunch of authors and readers started getting together a couple of years ago to offer a similar experience — only it’s totally online. What to expect at Brain to Books Cyber Convention? Just like other Cons, there will be costume contests, tons of swag, and chances to get autographs all without the high cost of transportation, hotel, meals, and registration. That’s because it’s totally free to attend Brain to Books Cyber Convention and you can do it in your pajamas — or even in the buff, if you want. I won’t tell anyone! Just like other Cons, you’ll get a chance to meet your favorite authors and meet some new ones who will become your favorite — and I hope I’m one of them. I’ll be at B2B Cyber Con debuting the second book in the Buried Ladies series, Scars of the Past. Many authors, like me, will give away books and autographs. I’ll even have some swag bags full of stuff you’re love. There will be character cosplay, book readings, workshops, author interviews, and chances for you to help authors with cover design, characters, or other elements they’ll use in upcoming books. OK, so maybe you’re not that much into Murder and mayhem, like Buried Ladies. That’s fine. You’ll find something you like across the many genres that make up the B2B Cyber Con — romance, fantasy, sci fi, young adult, etc. There’s a little something for every type of reader. You’re sure to find something you like at the Convention. If you’re an author, you can sign up for any or all events scheduled during the 3 days. Some are free, some have a small price tag, but you have to sign up by March 17th to participate. If you’re a publisher or agent looking for new talent, this is a great place to find a bunch of great indie authors and review their work. If you’re a reader, you’re in the best place possible. You just sign up to attend and enjoy the programming as much or as little as you wish — whatever fits into your schedule. Last year, nearly 1000 readers and authors attended from many different countries. I’ve heard that some folks saw a huge lift in sales, others, not so much. Either way, it’s a great way to interact between authors and readers. I’m running a giveaway on Amazon. I’m giving away 10 books chosen at random from folks who sign up for the giveaway. Here’s the link to add your name to the hat. If you’ve already purchased (or received a gifted copy) Buried Ladies, please consider writing an honest review (use the link below). And, if you didn’t like it, please send me specific comments so I can improve the next book. If you don’t have a copy yet, enter the giveaway or get it on Amazon (FREE on Kindle Unlimited, $2.99 Kindle, $9.99 paperback).